Amur Leopards, Black Rhinos and Bornean Orangutans are the three most endangered species in the world. There are 19 animals on the World Wildlife Fund’s (WWF) critically endangered list, including three species of rhino, seven primates and four big cats. 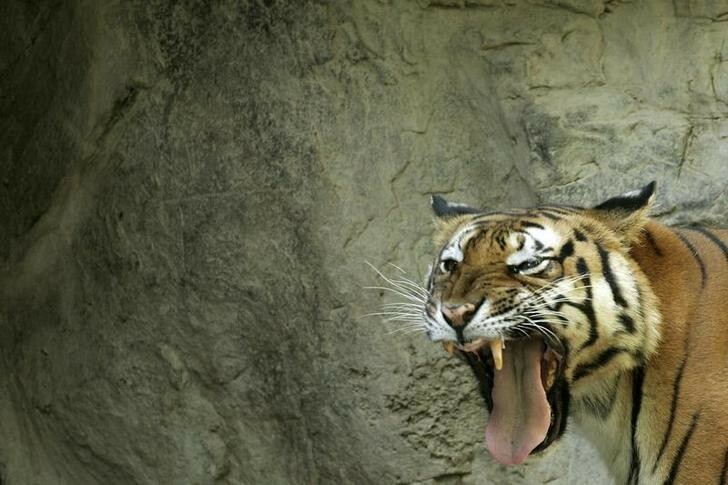 The South China tiger, which has not been seen in the wild for more than 25 years and is considered “functionally extinct”, is top of the list. While China outlawed tiger hunting in 1979 and declared the South China tiger’s survival a conservation priority in 1995, no existing protected areas are sufficiently large, healthy or undisturbed enough to sustain viable tiger populations, WWF says. The list also shows five species that each have fewer than 100 animals left, including the Amur leopard, of which there are only about 60 remaining despite having adapted to life in eastern Russia’s temperate forests. Meanwhile, the vaquita, a type of porpoise found only in the northern Gulf of California, is also on the verge of extinction, mainly due to getting caught and drowned in gillnets used in illegal fishing operations. WWF estimates there are now fewer than 30 vaquita left. The Javan rhino is also critically endangered and is the most threatened of the five rhino species, with only 58 to 68 individuals left – all of which are thought to live in Ujung Kulon National Park in Java, Indonesia. Typically killed by trophy hunters during the European colonial period, Javan rhinos also suffer from low genetic diversity and inbreeding, which WWF predicts could make it difficult for the long-term survival of the species. Despite this, major conservation efforts in recent years have brought back several other species of rhino from the point of extinction, including the black rhino. And while the black rhino is still considered critically endangered, its numbers have doubled from an historic low 20 years ago to between 5,042 and 5,455 today. Similarly, the southern subspecies of the white rhino, which was thought to be extinct in the late 19th century, has seen numbers surge to between 19,600 and 21,000 today, meaning it is now classified as “near threatened”. The same, however, cannot be said for its northern cousin. 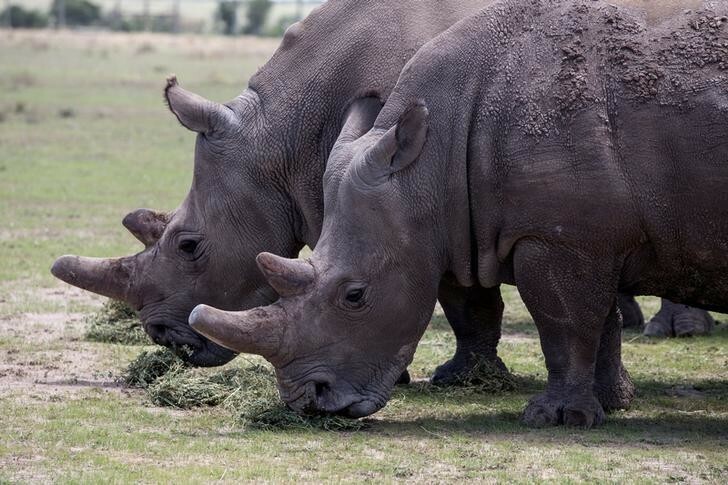 To combat near extinction, the last remaining northern white rhino, Sudan, joined dating app Tinder last year as part of fundraising efforts by conservationists. Fortunately, conservation is now a major priority around the world, with some governments taking an active role in protecting animals. Last year Mexico designated the Revillagigedo Archipelago, located 390 km (242 miles) southeast of the Baja California peninsula, as a marine park, making it the largest ocean reserve in North America. The park, which is roughly the size of Illinois, is designed for the conservation of giant rays, whales and turtles, including dozens of species endemic to the area. Meanwhile, the government of the Republic of Chad recently signed a new agreement with African Parks for the management and protection of an expanded territory of critical conservation areas. These include peripheral reserves Siniaka Minia, Bahr-Salamat and adjoining wildlife corridors to create the Greater Zakouma Functional Ecosystem. Despite these and other conservation efforts, poorly protected areas remain a serious concern. A new study by WWF of over 100 tiger conservation areas reveals just 13% meet global standards, for instance. The majority of these sites are in Southeast Asia, where tigers have suffered the most dramatic decline in the past decade, WWF says. According to the report, low investment from governments is one of the main reasons for the lack of management of these protected areas. “Unless governments commit to sustained investments in the protection of these sites, tiger populations may face the catastrophic decline that they have suffered over the last few decades,” warns Michael Baltzer, chairman of the executive committee of Conservation Assured | Tiger Standards (CA|TS) project. 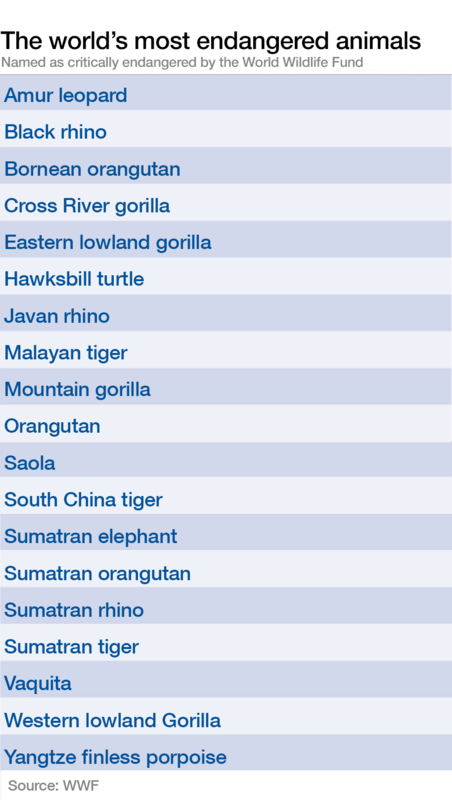 Which country has the most endangered animals?